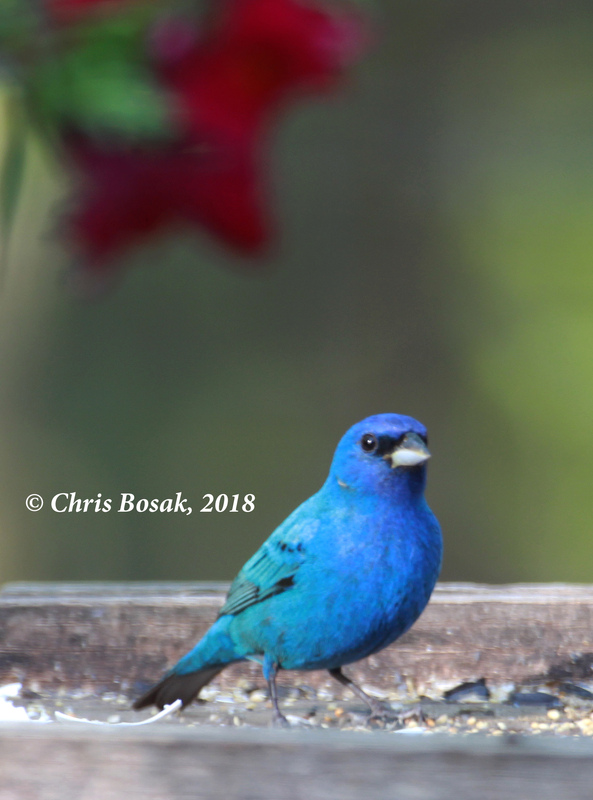 An indigo bunting visits a feeder in New England, spring 2018. No matter how long you’ve been at it, birdwatching always presents firsts. Wait, I used that sentence to start my column a few weeks ago. Oh well, another birding first happened this week, so I’m going with it again. This time, it was a new bird to my feeding station. 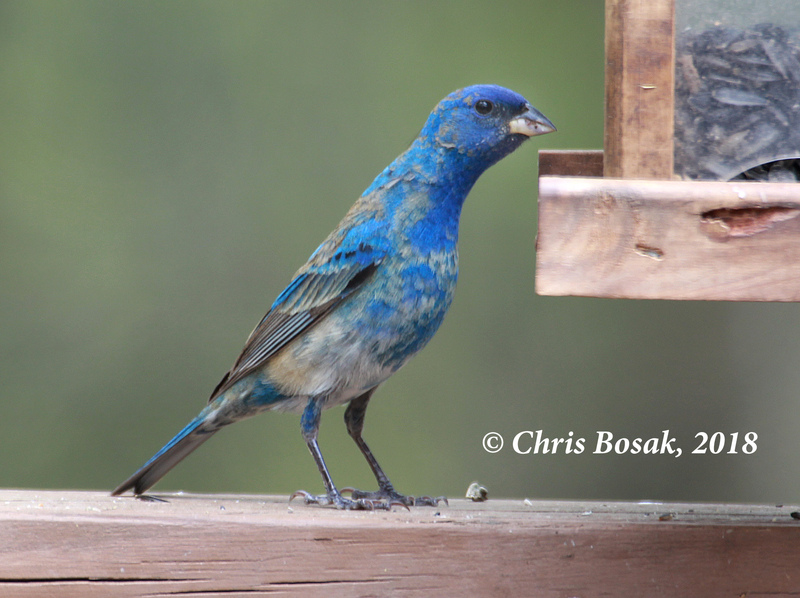 I’ve been feeding birds for a long time, and I’ve seen some great birds eating seeds or suet in my backyard. 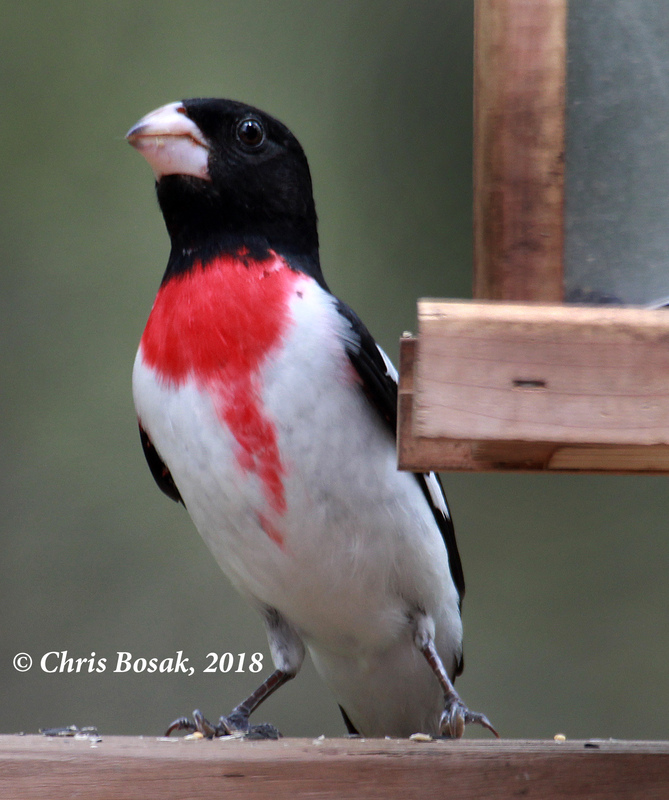 Every year I’m thrilled when the rose-breasted grosbeaks show up. 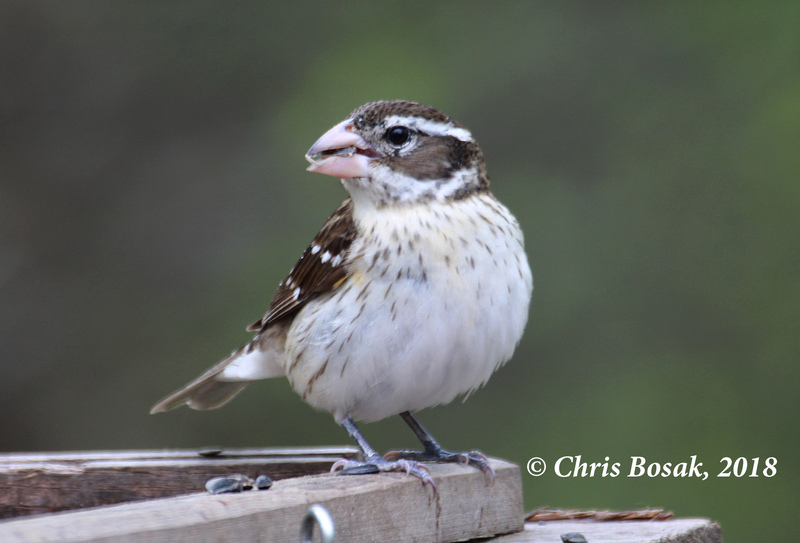 This year, a male and female have paid periodic visits for the last couple days. 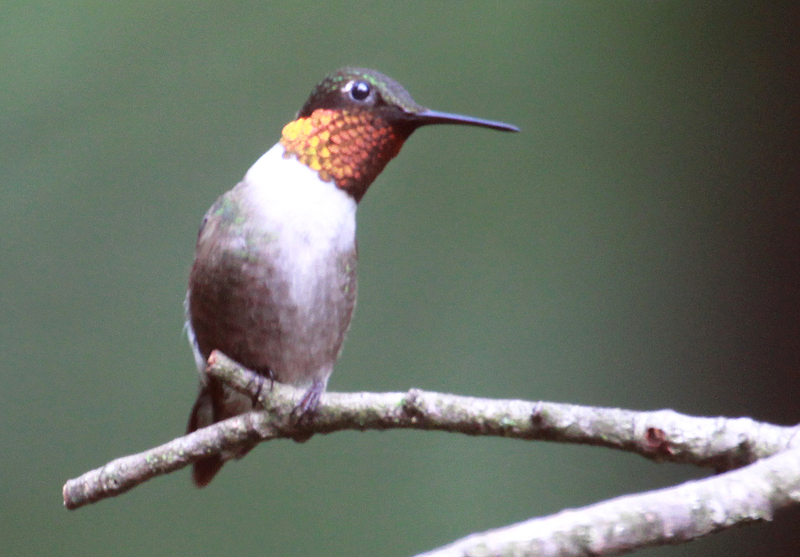 It took years for me to attract hummingbirds, but now — knock on wood — it seems they are annual visitors. A few Octobers ago, a small group of pine warblers discovered my suet feeder and stuck around the yard for about three days. 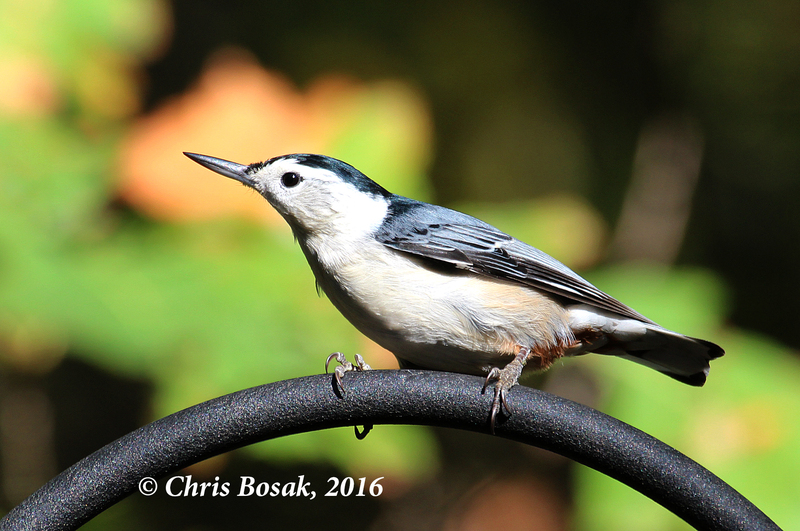 A White-breasted Nuthatch perches near a birdfeeding station in Danbury, Conn., Oct. 2016. I call them the Big Three. In order to make it easier to keep track of the number of bird species I see in my backyard, I lump together black-capped chickadees, white-breasted nuthatches and tufted titmice. They count, of course, as three different species, but it’s just easier to group them. On any given day I can count on seeing those three birds. Cardinals, downy woodpeckers, juncos, white-throated sparrows and mourning doves are nearly as reliable in the winter, but The Big Three just seem to logically belong together. 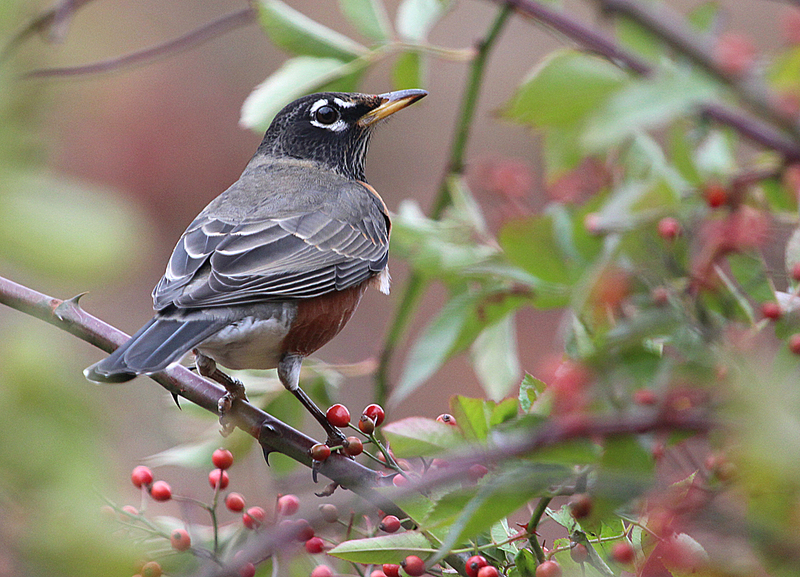 American Robin in Selleck’s Woods in fall 2013. Catching up on some news from For the Birds readers. Carol wrote in to share a story about a backyard spectacle she witnessed at her new home. Her new place overlooks a pond surrounded by trees and from her living room window she peers down on two dogwood trees and an adjacent white pine. In early fall, the dogwoods were “both laden with berries,” she wrote.